In Scotland, the fiddle and cello reigned supreme as the dance band of choice in the golden age of Scottish music and dance—the second half of the 18th century and even well into the 19th.The famous dance fiddler Niel Gow (1727–1807), the doyen of Scottish fiddlers, was in great demand to play for village dances and society balls often with his brother Donald on cello. There are eyewitness accounts of the dancers having to leave the ballroom because of the excitement created by the musicians. 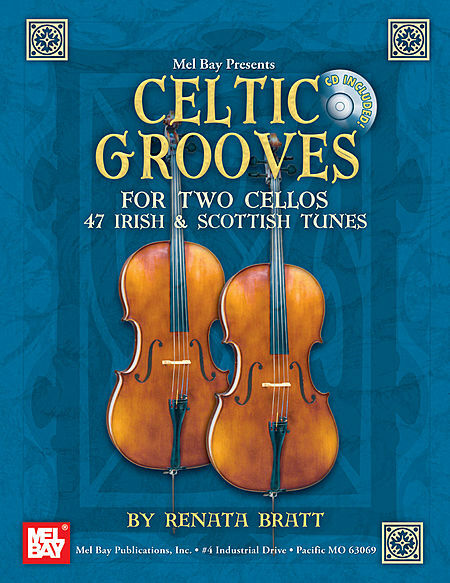 Scottish music publishers did a thriving business printing collections of reels, jigs, strathspeys, and other dance tunes that included not only the melody, but also a bass line for the cello, or “bowed bass” as it was known. The written bass line was often quite rudimentary, serving only as a guide; as the publishers often assumed that cellists would prefer to improvise their own accompaniments. the Scottish fiddle tradition may provide a clue about the function of this system. In this tradition, boys seem to have learned to play the bass fiddle first-even though it might have been cumbersome for a child, it had the simplest parts-and then they moved up to the treble. By learning the easiest part first, a player could perform in a group earlier in his training, and thus gain the most performance experience possible. Some bass players then reversed the process and, after learning the tunes on the fiddle, played them on the bass fiddle. Such a pedagogical tradition might help explain some of the unusual fingerings in early cello treatises.